Cooperation For A Non-Violent Future (CNF) serves Trenton, NJ and the surrounding communities, doing mediation and conflict resolution throughout the states. CNF provides services and donations to low-income communities. 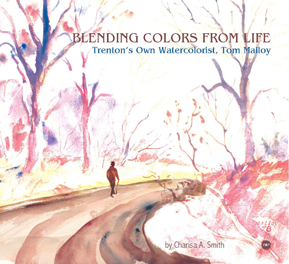 Oral history comes alive in "Blending Colors From Life: Trenton's Own Watercolorist, Tom Malloy", a fascinating tale of Tom Malloy (1912-2008), former Artist Laureate of Trenton, New Jersey and the darling of myriad art-lovers.